I just came back from the annual ASHI business meeting and educational conference in Philadelphia where I met with inspectors from around the country, some of whom I have know for many years. It was a convenient location this year as we could drive down. The educational seminars were great and even though I have been doing this for 25 years, there is always something new to learn. The four-day conference provided attendees with the opportunity to acquire new skills, enhance their professional knowledge and network with some of the best professionals in the home inspection industry. As a result of attending the full InspectionWorld conference, inspectors receive 20 ASHI CE credits fulfilling the annual CE requirements for 2015 ASHI membership. In addition, CE credits toward meeting New Jersey’s required licensing are obtained. This year, ASHI offered forty-five educational sessions broken into five different categories or tracks from the inspection essentials track designed for beginning home inspectors to the advanced learning track, and tracks covering business management, specialty inspections and building science topics. “ASHI remains committed to offering home inspectors the resources and essential tools so each attendee can provide their customers with the services they want and need,” said Michele George, ASHI’s Director of Education. “I am proud to work with a dedicated team that provides such a fabulous conference.” ASHI is the only home inspection association with a certification program recognized by The National Organization for Competency Assurance (NCOA). 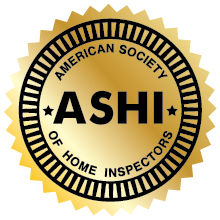 Founded in 1976 and with more than 5,000 members, ASHI is the oldest and most widely recognized non-profit, professional organization for home inspectors in North America. Its Standard of Practice and Code of Ethics are the industry standard. Visit ASHI online at www.ashi.org. I am think about becoming a home inopectsr in the State of Indiana and am just wondering if it is worth the trouble. I have a pretty extensive background in the construction trades so am not completely without knowledge or this field, but would still like to get some idea of the earning power of a licensed home inopectsr in the State of Indiana and or the job outlook for this career. I know what kind of training is involved and insurance requirements and all that, I just don’t know if it’s all worth it or not. You need to speak with local inspectors. My advice is to look up the nearest ASHI chapter and go to one of their meetings and speak with the inspectors about local issues.